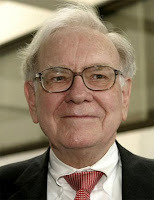 Billionaire investor Warren Buffett is the wealthiest CEO for the second year in a row, with stake worth $35.9 bn in investment management firm Berkshire Hathaway. 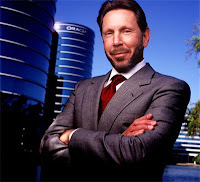 Business software major Oracle CEO Larry Ellison ranks second ($19.7 billion) in the list. 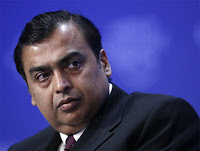 Chairman and managing director of Reliance Industries is up by three places at No 3 with $16.8 billion. Chairman and chief executive of ArcelorMittal slipped two places in the list this year to No 4. 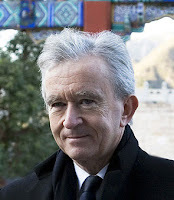 LVMH chairman and CEO Bernard Arnault ranked fifth, with his stake in world's largest luxury goods firm valued at $12.2 billion. 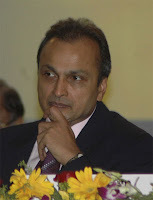 Chairman of Reliance ADA, Anil Ambani’s stake in his various firms is worth around $9 billion. Telecom firm Reliance Communications, his biggest holding, has lost 78% of its value since the beginning of 2008. Tied at seventh place are UAE's Mashreq Bank CEO Abdul Aziz Al Ghurair and Microsoft chief executive Steve Ballmer ($7 billion each). 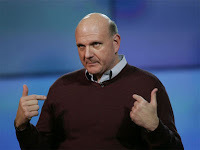 Microsoft chief executive Steve Ballmer ($7 billion) shares spot 7. 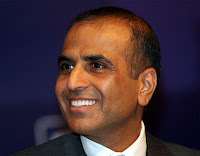 Bharti Airtel CMD's $6.9-billion stake in the telecom firm joins the list at ninth position. Japanese retailer Tadashi Yanai, who runs discount retail firm Fast Retailing, ranked tenth with a stake worth $6 billion.